Suara.com - Hotel 88 is one of the brands built and managed by Waringin Hospitality Hotel Group. consisting of Hotel 88 for two-star hotel classes and Luminor Hotels for three-star hotel classes. Hotel 88 itself is the first brand made by Waringin Hospitality. This facility combines the concepts of Homey, Modern, and Best Value, and has the tagline "Feel at Home for Business". 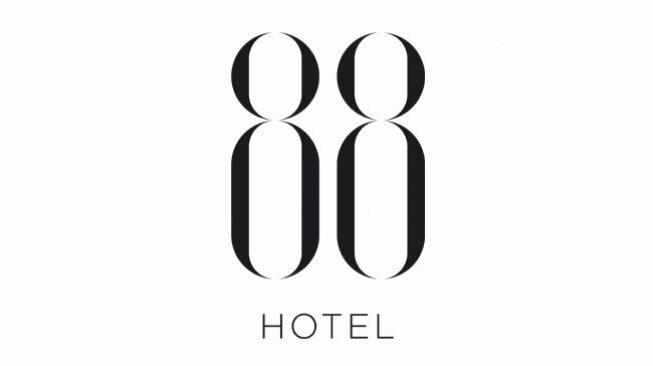 we launched the new Hotel 88 logo to be more modern and elegant. Changes to the logo are also offset by changes in the interior of the hotel that are more modern, making guests more comfortable and satisfied. We also improve high-quality service quality. Hotel 88 always strives to develop better and become one of the best choices for guests. Now we have 13 hotel 88 units, 7 units in Jakarta, 1 unit in Bekasi, 1 unit in Bandung, 3 units in Surabaya, and 1 unit in Jember. Hotel 88 has 2 types of rooms, namely Superior Room and Deluxe Room, with room sizes between 18 m2 to 21 m2. This facility is also added with a Restaurant and Meeting Room. Waringin Hospitality Hotel Group is always optimistic and continues to develop the hospitality business, and plays an active role in improving and developing the world of tourism in Indonesia. This was evident in the following years, where we planned to build Hotel 88 and Luminor Hotels in several regions of Indonesia, such as Blok M Jakarta, Pancoran Jakarta, Mangga Besar Jakarta, Banjarmasin, Sidoarjo, Special Region of Yogyakarta, Ambon, Jember, Purwokerto, Tanjung Selor, Kertajati Airport, Asia Africa Bandung, and several other regions. "We hope that in the future, Waringin Hospitality can become the best and leading national hotel business network in Indonesia, through high quality products and services at affordable prices," said Metty Yan Harahap, as Corporate Director of Sales & Marketing at Waringin Hospitality. You can see various attractive promos on the official website www.hotel88.co.id and www.luminorhotel.com.